Rent Great Hall Banquet & Conference Center | Corporate Events | Wedding Locations, Event Spaces and Party Venues. Being the premier Art Deco inspired event venue in the heart of Saint Paul's thriving Lowertown district, The Great Hall provides a classy, convenient location for private events including weddings, corporate galas, dances, parties, and reunions. 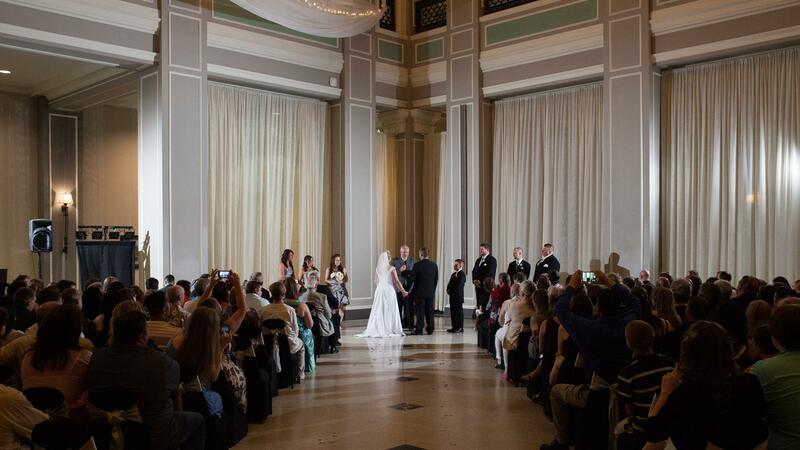 A Great Hall wedding is much more than just a special event in a historic venue, it is a flawless experience guided from start to finish by friendly, award winning industry professionals. Imagine hosting your formal gala, silent auction, or holiday party in the stunning interior of The Great Hall. Conveniently located in downtown Saint Paul, The Great Hall is skyway connected to parking, hotels, and many local attractions.